What is a Solar Attic Fan and what can it do for me? Will the Solar Attic Fan work on newer better insulated homes? Is a solar unit better than what I have now? Are there alternatives to solar-powered roof fans? What are they? Can it be installed anywhere on my roof? What do I do if I need warranty and/or repair service? Do the Solar Attic Fans only operate during the day? How does the Solar Attic Fan help electric utility companies achieve their conservation targets? A Solar Attic Fan harnesses solar power to remove extreme heat in residential attic spaces in order to reduce energy use, increase comfort and prolong the life expectancy of roofing materials and air-conditioners. In summer it reduces attic temperatures. This helps cool the home, allowing for less use of expensive high-energy cost air conditioning (AC). In winter the Solar Attic Fan reduces rot, mildew and mold. As hot air cools on contact with roofing materials, moisture condenses leading to development of rot, mildew and mold—all of which can cause serious damage. 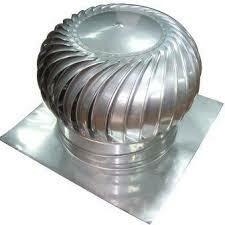 The solar attic fan actively improves attic air circulation and helps reduce rot and growth of mold and mildew. The Solar Attic Fan also helps reduce ice dam formation on eaves troughs. In poorly ventilated attics, heated air causes snow and ice to melt from the roof and run down to the eaves where it freezes again, forming hazardous ice dams. This can also cause interior water damage. Increased ventilation from the solar attic fan decreases the chance of ice damming. Energy savings example: 2000 square foot house - rated at approximately 315 kWh* per summer in the Ontario, Canada, climate resulting in potential cash savings per house = $50 - $100/year depending on local climate, age of the house and local electricity rates. (Some studies have shown electricity reduction as high as 500 kWh.) Most houses built before 1984 will see greater energy savings due to lower attic insulation requirements. The Solar Attic Fan extends life of roofing materials. Asphalt shingles are designed to withstand abuse from the sun over many years, though they are subjected to damaging temperatures as a result of an over-heated attic. The greater ventilation offered by the Solar Attic Fan lowers attic temperatures, extending the life of roofing materials. As the Solar Attic Fan operates, the draw on air-conditioning diminishes, resulting in a longer life span of the air-conditioner. In Canada — Our Solar Attic Fan can be purchased on Amazon, at select Home Hardware Stores, various local independent roofing material stores and from electric utility companies. It is not a Do-It-Yourself (D-I-Y) product, so if you buy it yourself, be sure to ask a professional to install it! Will the Solar Attic Fan work well on newer better insulated homes? Absolutely! Extensive studies of the Solar Attic Fan's performance have been completed and the tests are positive. In the past, the engineering community had expressed concerns that the Solar Attic Fan could potentially create negative pressure in homes with well insulated attics. This has been proven to be inaccurate. The Solar Attic Fan is capable of moving 400 cubic feet per minute (CFM) when operating at peak sunlight. This is the same amount of movement that occurs when one uses bathroom fans or stove top fans. It has been proven that there is absolutely no risk of creating an imbalance of pressure between the conditioned space of the house and the attic. It has been proven that the Solar Attic Fan, in addition to reducing the risk of mold in the attic, is capable of reducing thermal heat transfer from the attic to the conditioned house space resulting in savings due to decreased air conditioning. Most homes are constructed with passive ventilation systems that rely on natural convection to provide sufficient air pressure for circulation and ventilation. In many jurisdictions passive units are used to meet minimum building code requirements, but solar-powered units are used to actively improve home comfort with no increase to the electricity bill. Are there alternatives to solar-powered attic fans? What are they? While the Solar Attic Fan provides active circulation and ventilation on hot summer days, wind-powered units fail on the most uncomfortable summer days when there is no breeze at all. Electrically powered roof fans seem comparable with solar powered units. But, while the solar-powered unit decreases electricity costs (as it is powered by the sun), the electrically powered unit increases electricity bills. Electrically powered roof fans have caused house fires. The Solar Attic Fan is expertly designed for installation in three different rooftop methods: gable-end, soffit installations, and easy retrofitting of existing roof vent. 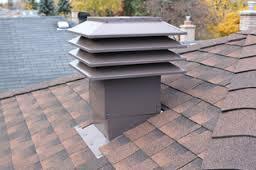 We recommend the Solar Attic Fan be installed by a professional who is licensed to work on a roof. It usually takes less than 15 minutes. Please contact us for a list of recommended installers. For your convenience, we are able to assist directly with inquiries about servicing your Solar Attic Fan. Please contact us for service and warranty inquiries or if you any questions. We will get back to you as quickly as possible. Yes. The Solar Attic Fan is designed to lower peak energy usage when this relief is needed most. The beauty of the Solar Attic Fan is that it automatically adjusts the fan speed to the amount of available sunlight and, therefore, the amount of heat building up in your attic. The objective is to make the Solar Attic Fan as simple as possible and to avoid unnecessary and bulky additions such as batteries, extra solar panels, and regulator components. Also, because the Solar Attic Fan is designed simply to remove excess heat in summer and moisture in winter, no timers or controls are needed. In late winter and early spring, when ice damming is likely to happen in an attic because of moisture, the fan will become more exposed to sunlight as the snow melts and will remove excess moisture, which will help the roof last longer. 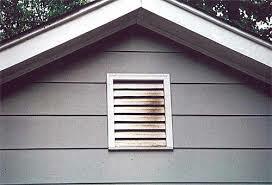 Air movement will help reduce the condensation as well as reducing the possibility of mold and rot within the attic. Would the Solar Attic Fan extract hot air from my home in winter and make my furnace work harder? If the venting intake is properly designed the air flows in through the lower, soffit venting, and then through the Solar Attic Fan. The Solar Attic Fan will not cause a furnace to work harder unless there is a badly leaking ceiling between the living space and the attic space. In many areas, the snow will also cover the solar panel during the coldest winter months, meaning that the Solar Attic Fan will not be on needlessly and would not move extra air through your attic space when it’s not needed. Finally, if the sun is out and the snow has melted enough to uncover the solar panel along with much of the roof of your home, the attic space in your roof will actually already be heating up to temperatures where the Solar Attic Fan can be helpful. The fan will automatically start moving excess hot air out of the attic and will power down when no longer needed—when the sun sets and there is no excess heat in the attic space. It’s that simple: it will work precisely as engineered. Solar Panel: 19 Watts, 28 VOC. Fan: 19 Watts, 24 Volts. Rated for 50,000 hours at up to 400 Cubic Feet per Minute (CFM). Ventilation: Approx. 1,000sq.ft. (Insulated attic area) at up to 400 (CFM). CSA/ESA approval not required, as product is such low voltage. All parts subject to a 20-year limited iSolar manufacturer’s warranty.